Indian railways have undergone a major transformation over the years and it has come up with ease and comfort for its travelers. Apart from the comfortable coaches, the Indian railways have also gone mobile. The train running status along with other important info can be retrieved with the help of an SMS. It is as easy as it sounds and the Indian government has enforced such service to make the journey of its travelers comfortable. Getting the info about PNR status and train time can prove to e extremely useful for the travelers. The Indian trains are defamed because of their late running scenarios. If we look back 20 years, we will find that most of the Indian trains were usually late by some time. In such cases, the information about trains becomes more vital. The users can now get any info at the comfort of their own house and without any hassle. To check PNR status, the users just need to know the right SMS text and the number. 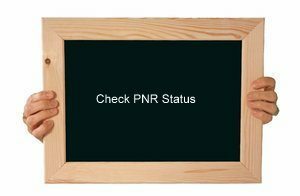 All the info regarding the PNR status can thus be seen by the user without any hitch. The main purpose for checking the PNR status is to know whether the ticket on which the traveler plans to go is confirmed or not. Once the PNR data appears on the screen, it also shows up the ticket confirmation. The ticket confirmation is very important when it comes to the Indian trains. The sole reason is the waiting list which is compelling, considering the large population of India. In such a case, it becomes mandatory for the travelers who don’t have a confirm ticket to check their PNR status before boarding the train. SMS PNR <pnr number> and send this message to 5676747. Messaging to the above mentioned number shows up the PNR status of the train and the user gets to know the important info about his train. The PNR status can also be checked by sending the PNR number to 5676747. Sending this text also returns the results for the PNR status of the train. It is an easy process to be accomplished. These days, smartphones have become a popular phenomenon in the market and every person wants to check the info with the comfort of their own house. Hence, sending an sms for getting the PNR number is one of the easiest methods to know the status of your train and more importantly the info about your ticket if it has been confirmed or not.